There are two ways you can do this. The first is to search for each section heading and manually insert a page break before each of the sections. This can be tedious and time consuming. It is much easier to format your paragraph so it always begins on a new page. Position your cursor in the section heading paragraph. Be certain the of Home tab of your Ribbon is displayed. At the bottom-right of the Paragraph group, click the small icon. 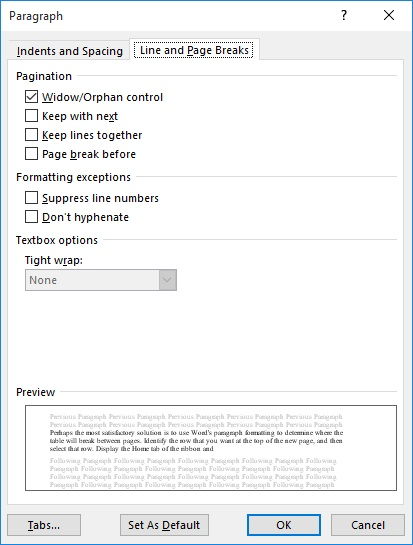 Word will display the Paragraph dialog box. Make sure the Page Break Before is selected.